I cannot believe it has been a month and half since my little guy turned one. It seems like just yesterday we were celebrating with Mickey, Minnie and the gang. It has been a crazy few months for Darrin at work. I’m really looking forward to things slowing down just a bit for him so we can plan lots of fun family things as it starts to get warmer. Lucas is really starting to communicate. He is saying Da-dee, Bye bye, Hi, Momma, and Bubble (not really sure where that came from!) with regularity now. 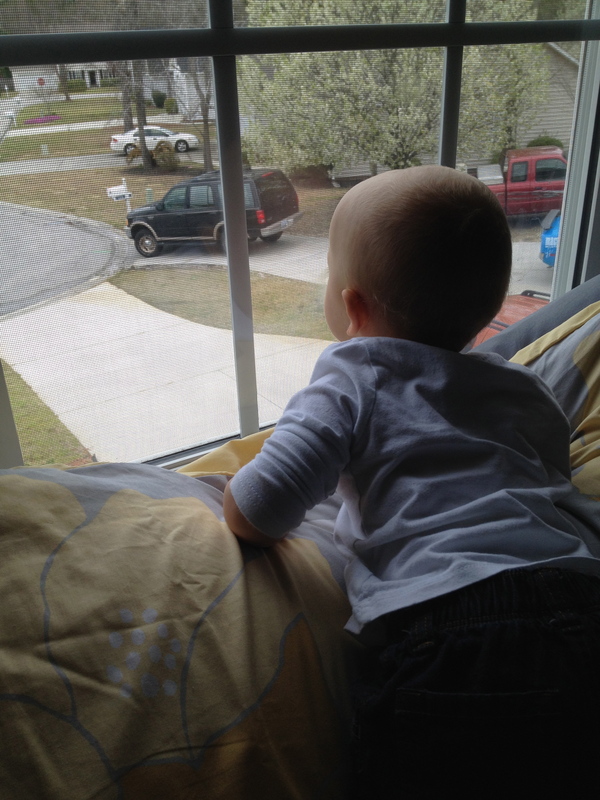 The window is becoming a favorite spot for Lucas. I never knew watching the neighbor boy play basketball in the cul de sac could be so exciting! He has six teeth and I’m pretty sure he is working on two more right now. He is also using those teeth to eat a ton of new foods. He is really obsessed with fruit, any fruit except apples and pears actually. He will eat an entire orange in one sitting if I let him, which I’m guessing he gets from his Floridian father! He is still a huge fan of Mickey Mouse but has really started to love Doc McStuffins. We watch just for the songs because he loves to dance to them, and what a cute dancer he is. The warmer(ish?) weather means we’ve done a few trips to the park. 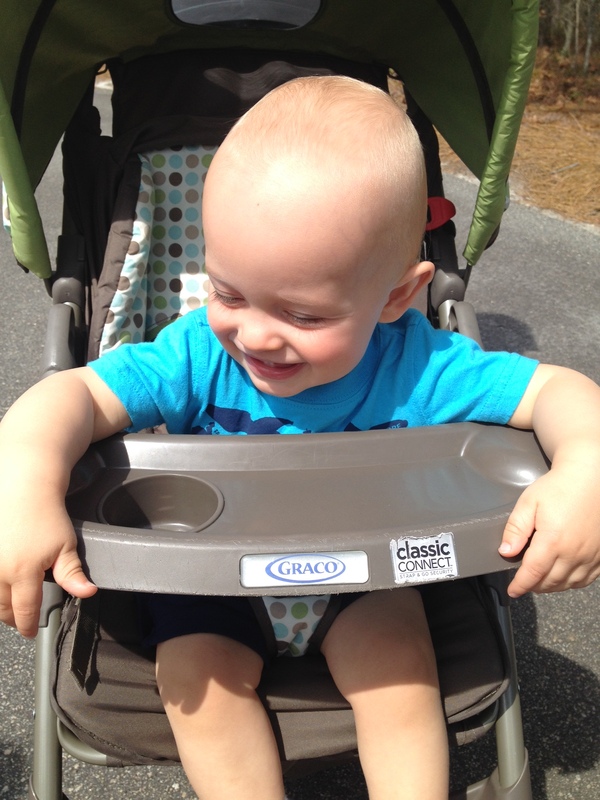 Lucas loves walks in the stroller. 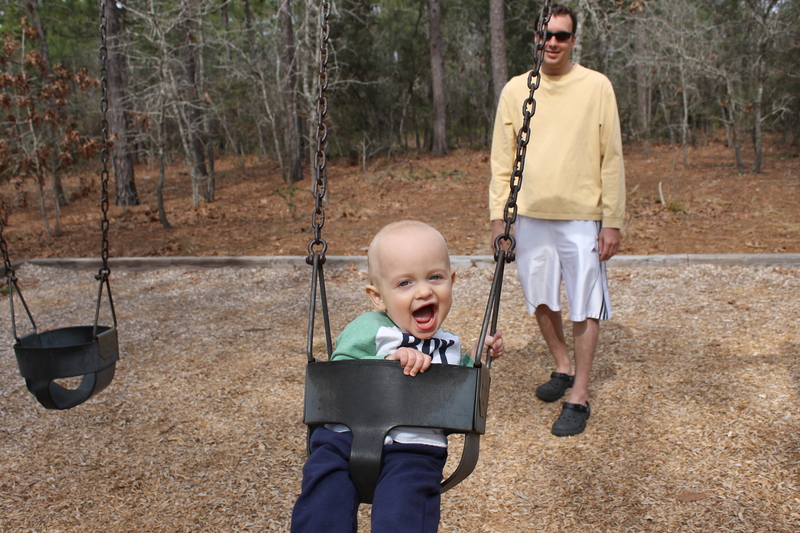 And he loves playing on the swings with Daddy. Yes, life at the Overholt house has drastically changed in the past few months. 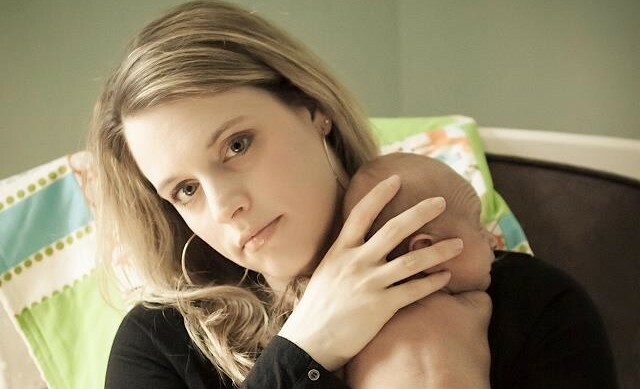 We have gone from having a sweet and cuddly baby to an intelligent and active toddler. What an adventure we are having! Want to keep up with all the fun things we’ve got going on? Like our Facebook page and you can!